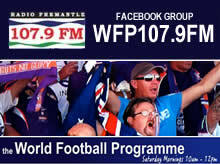 Players from the top state women’s competitions around Australia are invited to trial for place in the Perth Glory Westfield W-League in 2014 season. If you have the skills and attitude to compete in the elite women’s competition and would like to take part in trials, please complete an expression of interest form and return it to Glory coachjamie.harnwell@footballwest.com.au before Friday, July 4. The trials will be held at Celebration Park, Balga (Friday, July 11 and Monday, July 14 from 5.30pm – 7pm) and Gibbney Reserve, Maylands (Saturday, July 12 from 10.30am to 12pm). Harnwell said Glory had previously picked up players through the trial process. “We are always on the lookout for new, exciting talent and these trials afford players the opportunity to gain a place in the Perth Glory W-League squad,” he said. Interested players must complete an expression of interest form, which is available here.